“At the beginning of this month, the mango market was flooded with sun-ripened Peruvian mangoes. This large supply put pressure on the market. 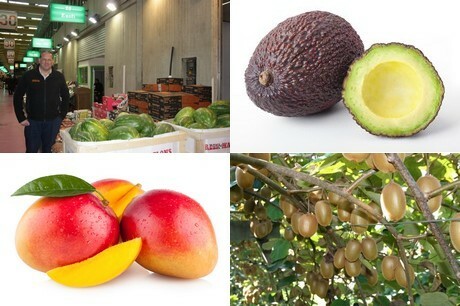 The mango market is currently stabilizing because it is emptying out", says Jan Vermeiren of the Belgian import company, Exofi. "There is half as much product from Peru being shipped in. There are also clearly fewer Kent mangoes. This means prices are more stable now than they have been in previous years. The ready-to-eat mango prices are also holding steady at a relatively high level. They are selling for around EUR8 depending on the variety and size. This is a good stable price. It has been different in the past." “There are reasonably large amounts of Hass avocados on the market. This is due to the fact that Spain is offering this product on the market at the same time as Colombia and Mexico. There is more supply than demand. This is why prices are between EUR0,20 and EUR0,30 lower than last year", he explains. "In contrast to the Hass, there is a slight shortage of green avocados.” Prices for green avocados are quite high. These high prices are due to the issue of supply and demand. "Hass avocados are becoming increasingly popular. This is causing a shortage of the green variety. This shortage is good for the green avocado producers when it comes to price." It is the second season in a row that there has been a shortage in the production of French kiwis. Compared to a typical season, production is down 25 to 30%. "Due to the dry weather, there is a shortage of large sizes. This year, the kiwis weight, on average, 87g each. This is usually 103/104g. These low weights are not only the case in France but also in Italy." "The prices for French kiwis are at an all-time high. This fruit has never been so expensive. There are products from other countries such as Greece, on the market. However, when it comes to quality, taste, and Brix values, the French kiwi is a firm favorite with Belgian consumers", Vermeiren continues. “We are convinced that we will be able to deliver this fruit for the entire season. This means up to the beginning of May. This, despite the shortages. After that, the New Zealand kiwi comes onto the market again." "We are dealing with something like 700 tons of French kiwis this year. Sales are, however, not suffering because of the high prices. This is because people in Belgium prefer the tasty French kiwis", Jan concludes.